J World Sunrise Love Black | What Should I Say? 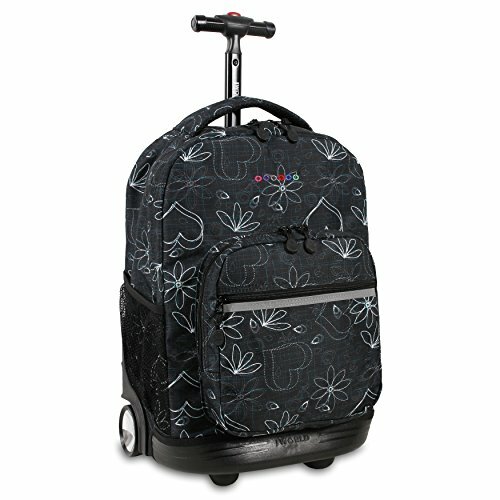 J world new york sunrise model comes with an aluminum handle which is recessed and locking, polyurethanecoated fabric and pockets galore for organization. Pens, pencils, credit cards, and keys all have a space designated in the organizer pocket and in the bigger outer pocket wallets and other valuables can be stashed. The main compartment is big enough to carry textbooks and notebooks and the mesh water bottle pocket keeps you cool and refreshed throughout the day.